In 2016, journalists will recognize that they have to be activists — if they want to call themselves journalists, that is. In the waning days of 2015, Congress wrote a must-pass omnibus spending bill. In typical fashion, lawmakers bundled into it all kinds of things that had little or nothing to do with the point of the legislation, which was to ensure that government departments and agencies could keep paying their bills in the new year. One of the extraneous parts of this law was a collection of so-called “cybersecurity” provisions, allegedly aimed at protecting America’s critical services from malicious hackers, governmental and criminal. What Congress did enact, in fact — and, also typically, after closed-door meetings that cherry-picked the worst parts of bills already passed by the House and Senate — was vast new surveillance of the American people. The provisions will greatly increase the sharing, among corporations and governments, of our most private information. As I write this, civil liberties groups and a few members of Congress are trying a Hail Mary maneuver to pull this language, an effort that almost no one believes will succeed. Despite loud protests from tech-oriented news sites, most traditional media organizations ignored, or give the shortest shrift, to this issue until it was too late. But had Big Media journalists been doing their actual jobs, they would have been fighting tooth and nail to prevent it from becoming law. They’d have done so because ubiquitous surveillance is an attack not just on average citizens’ privacy rights but a direct affront to freedom of expression and freedom of association, among other fundamental liberties at the heart of a democratic society, not to mention journalism itself. And if journalists have any intention of doing their jobs in coming years, they’ll wake up — starting in 2016 — to the reality that they have to become outright activists in the defense of these liberties. They’ll wake up to the reality that the Digital Age challenges these liberties. The decentralization of technology and communications that led to the greatest boom in free expression in history is in jeopardy from governments and corporations that are radically recentralizing the digital world, creating choke points and providing unprecedented control to the centralized powers. When journalists do their reporting, they’ll see how this control helps governments censor speech and slam journalism around the world. They’ll recognize the threat posed by prominent politicians in the U.S. who talk darkly about censoring the Internet in their fear-mongering “fight ISIS” strategies. They’ll note that telecommunications cartel isn’t daunted by the “network neutrality” ruling banning unequal treatment of online content, but is working day and night to turn the Internet into a slightly enhanced form of cable television. They’ll recognize that a tiny number of giant Internet companies, with Facebook leading the way, are on the verge of becoming the newsstands to the world — and using their secret algorithms to gain unprecedented power over what people read, listen to, and watch online. Journalists will learn and grasp these threats, among others. And then they’ll tell their audiences what is happening, why it’s so dangerous, and what people — individually and collectively — can do about it. But first they have to do the basic reporting. By all evidence, few journalists do, and most don’t even try. Maybe they think technology is too complicated (it’s not), but whatever the reason there’s been a big knowledge gap. Look at the generally inane coverage of encryption, in which journalists simply parrot what government tells them, to see a prime example. At a recent gathering of journalists and technologists in Phoenix, one of the sessions featured a discussion of how journalists should be dealing with the reality that a few Internet companies — Facebook in particular — are becoming the environment in which journalism exists. Ultimately, the question on the table seemed to be whether Facebook would be a benevolent overlord, or not. At another session, we talked about surveillance. The key question seemed to be how journalists and their audiences can deploy countermeasures to relentless spying from governments and corporations. If those become the baseline assumptions, we’re done, because we’ll have agreed to untenable conditions. We cannot take for granted that the Surveillance State has won. We cannot let Facebook’s terms of service trump the First Amendment (or, by extension, allow Facebook to control which journalism companies survive). And we can’t just write down and regurgitate presidential candidates’ “We have to censor the Internet, ban encryption, and spy on everyone” statements. On some issues, journalists who claim to be neutral observers are, in fact, enablers. If journalists won’t take a stand for core liberties like free expression — and then be leaders in the campaign to save or restore them — we’ll be fit to call ourselves entertainers, and not much else. 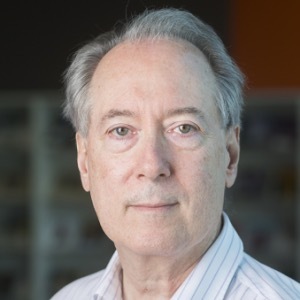 Dan Gillmor is professor of practice at Arizona State University’s Cronkite School of Journalism and Mass Communication. Dec. 20, 2015, 9 a.m.